When Cisco purchased Pure Digital, handheld HD cameras were popular. 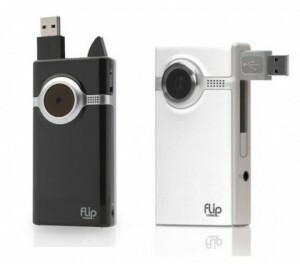 In the time since the Flipcam rose to prominence, other cameras came to the market, like the Kodak Zi8 and the Sony Bloggie, and other devices started coming with better cameras. While its competitors did things that Flip did not, like removable storage and external microphone jacks, Flip was able to remain on top. Unfortunately, with iPhones, Droids and other digital cameras also started coming out with 720p and 1080p video cameras built in along with their better still cameras, which made it simpler to carry one device than two. The is still a market for the stand alone HD video cameras. I’m sure most people don’t see their phones as their device of choice to capture children’s birthday parties or other family events. On the Chevy SXSW Roadtrip, our camera of choice was the Flip Mino HD camera, which we used to tape all of our experiences and vignettes. While we were all carrying cellphones capable of HD video, the thought to use them never occurred to us. Could Cisco have pivoted the Flip or sold it to someone else? Sure they could have, but instead they chose to shut it down and fire all of the employees that were working rather than seek another way, but it seems Cisco would rather be business to business rather than business to consumer. It’s unfortunate for those of us who liked the Flip camera, but there’s always the Zi8, Bloggie and other competitors to fill in the hole left by its untimely death.